As I begin to talk about cast recordings I’ve listened to, or movies I’ve seen, I plan on using “The Hawks Test” as a foundation for discussion. But before I can do that, I think I should define my understanding of how the “test” works. 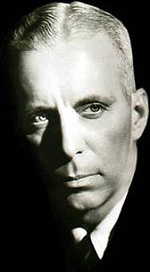 Celebrated film director Howard Hawks had a famous criteria for what makes a “good movie”: Three great scenes, and no bad ones. I was probably ten years old when I first heard this rubric mentioned on an episode of Siskel & Ebert & the Movies (I think in reference to True Lies or something like that), and have always loved it’s simplicity. It wasn’t long before I started mentally applying a similar grading system to musical scores: three great songs and no bad ones. Before looking up the rule for this post, I had mis-remebered Hawks’ rule as defining a “great” movie, as if a movie (or score) could be “good” with only two great scenes/songs–or in spite of a bad scene/song–it just couldn’t be “great“. But I much prefer the ruthless, no-nonsense quality to setting the bar at “good”–it either is or it isn’t. Of course, a movie/score can be entertaining, fun, or satisfying without qualifying as “good” (as you know, nice is different than good), and only a foolish, doomed man would proclaim “it has to be good“. But I don’t think it’s unreasonable to expect musical scores to contain three great songs and no bad song. I love, love, LOVE Legally Blonde: The Musical, but the score is not “good”. It has at least three great songs (the title song, “So Much Better”, “Positive”, everything that surrounds the phrase “How’s this for a personal essay?”), but “Bend and Snap” and “Sharks in the Water” are basically intolerable. While I think The Drowsey Chaperone is a very clever and entertaining show, I couldn’t attribute three great songs to its score. All of these is highly subjective and somewhat reductive. But I’m pretty sure that’s the definition of “test” anyway. And as far as I’m concerned, the test is more about framing discussion than determining worth.